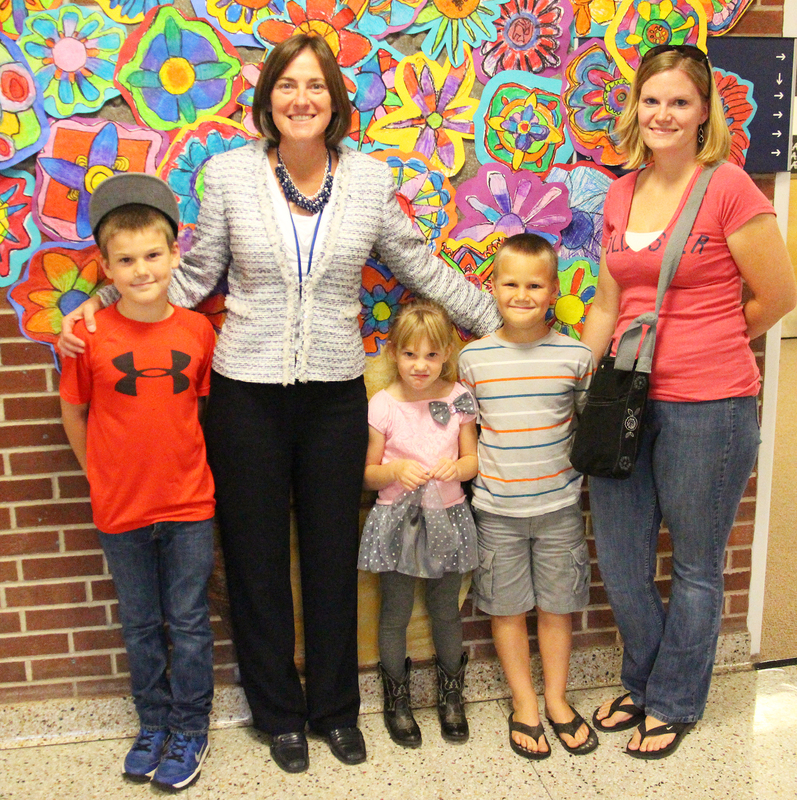 Principal Bonnie Finnerty stands with students Josiah, Juliana and Nathanial Curry, and their mother, Roberta, at right. SANDY CREEK – Smiles and laughter filled the hallways at Sandy Creek Elementary School during a recent open house event. The open house provided parents and teachers the opportunity to discuss classroom curriculum, and provided students the opportunity to showcase what they’ve learned throughout the first month of school.